Fifteen miles below the Corn Creek boater put in, Chamberlain Creek enters wide and splashing into the main stem of the Salmon River. Our boats bump into the small eddy at the inlet and we grab our blue water jugs. The stream’s water, straight from the heart of the Frank Church wilderness, is too sweet to pass by without filtering and drinking. The map shows an overgrown but persistent pack trail follows the drainage into the Chamberlain Basin. In the early days of running the River of No Return, a day trek up to the basin’s Stonebraker Ranch may have been necessary to deliver supplies or bring news from Salmon. Today, we have ten more miles to travel downstream before camp, so we imagine what lies above us instead of lacing up our hiking boots. In contrast to the rugged alpine crags or steep river gorges of the Frank Church Wilderness, the Chamberlain Basin is relatively hospitable to animal and human. A meandering creek wanders through lodgepole pines and meadow grass. Until “persuaded” to relocate to Fort Hall upon their winter supplies being destroyed during the Sheepeater Campaign of 1879, the Mountain Shoshone frequented the lush meadows and streams of the basin to hunt large elk herds and other game. (link to wikipedia article or other article about sheep eater campaign). 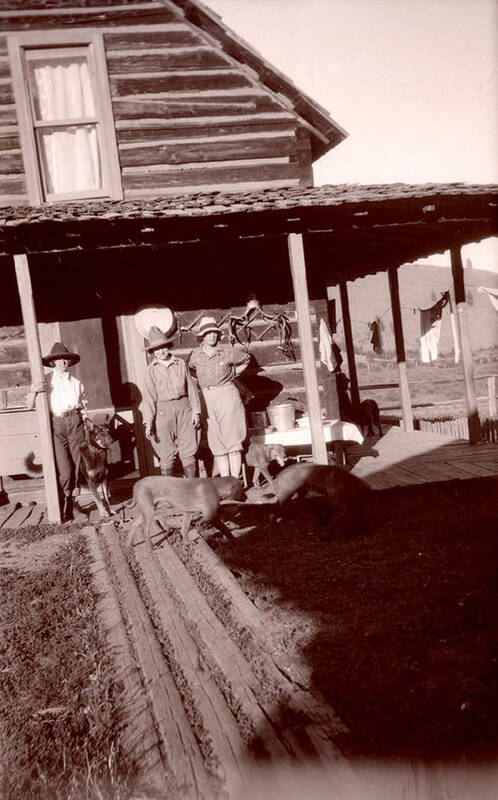 The removal of the Mountain Shoshone from their ancestral land encouraged a smattering of settlers to make the Chamberlain Basin home. 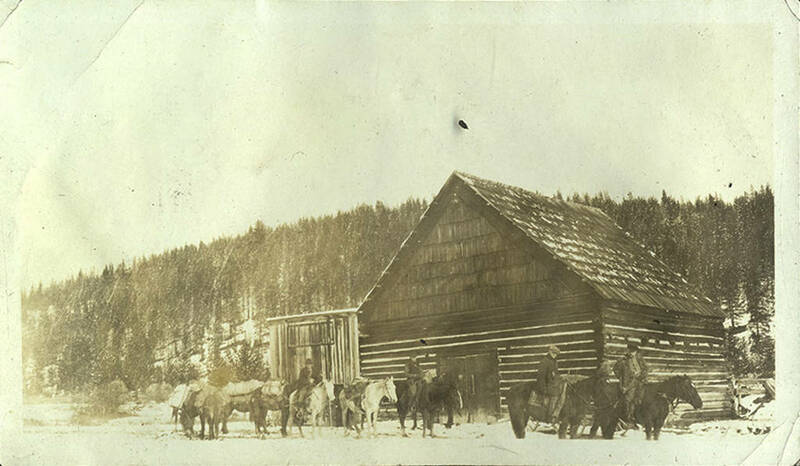 It wasn’t, however, until gold was discovered in the late 1890s that settlement of the area began in earnest. While the Chamberlain Basin was modestly prospected, it prominently acted as a layover for miners traveling to the last major gold strike in Idaho south of Chamberlain Basin. Trapper John Chamberlain is the namesake of this ankle-numbingly-cold, clear creek. Allen Stonebraker, however, is far more responsible for bringing the basin to fame outside the campfires of rough and tumble trappers and prospectors of Central Idaho. Fifteen miles from the creek’s Salmon River confluence, Stonebraker homesteaded, raising cattle to feed the large Thunder Mountain mining camps. 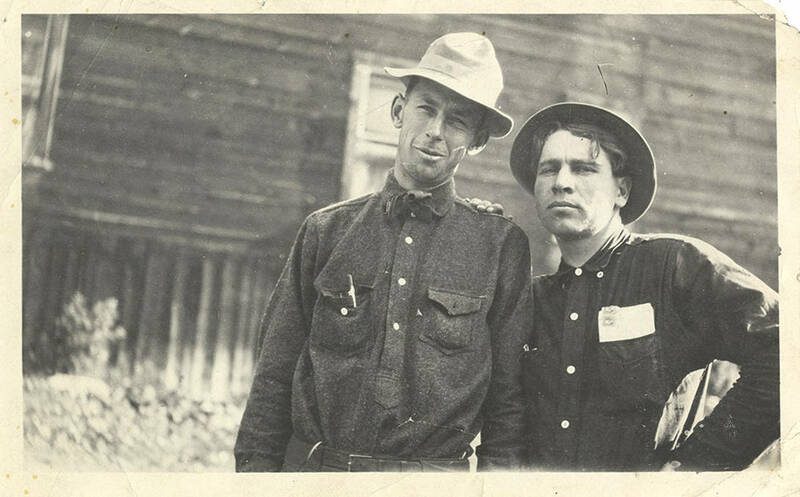 An experienced wilderness packer, Stonebraker, along with his friend William Campbell, won a contract to build the Three Blazes Trail that traversed from Grangeville, Idaho across the Salmon at Campbell’s Ferry to the Thunder Mountain mining strike. This trail helped open the area to even further gold-manic travelers, attracted to Idaho by promises of a “Mountain of Gold”. Following the boom and bust pattern of many Western gold strikes, the Thunder Mountain strike played out in 1905. At that time, Stonebraker and his family turned to a nation’s burgeoning interest in dude ranches and backcountry experience to sustain his homestead. The first backcountry pilot landed in the basin in 1922 and Stonebraker began hosting wealthy American hunting parties in the wildlife-rich basin and surrounding country. This shift coincided with increased National Forest Service presence in the basin. The airstrip utilized by Stonebraker’s guests was originally installed to allow firefighter access and many of the buildings built during this era were in conjunction with Civilian Conservation Corps projects. As we sit in the warm morning sun along the creek and look up at the steep topography of the river canyon, it’s hard to imagine the neighboring communities of Stites, Grangeville and Elk City. Hiking out of this gorge, away from the comfort of our food coolers and boats, seems like an emergency-only adventure. 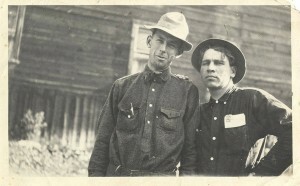 Stonebraker, however, was familiar with traveling the canyons and rugged mountains and was key in connecting the Frank Church Wilderness with the outside world. 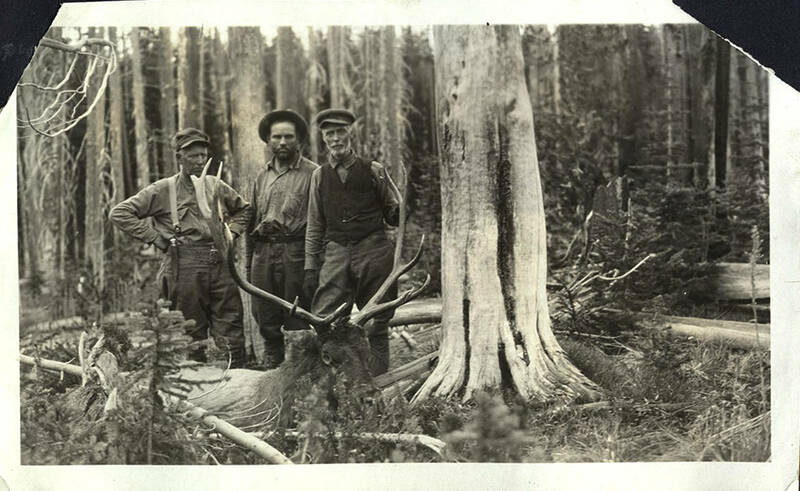 The University of Idaho’s image collection of the Stonebraker family, featured here, shows Stonebraker’s large geographical range with the Frank Church Wilderness and it’s nearby hubs of supplies. Although many river runners never make the trek up the creek into the Chamberlain Basin, the basin doesn’t go without visitors. The fertile, protected meadows continue to be a world-class destination for those who enjoy backcountry hunting for one of the healthiest elk herds in the West. In 1931 the national forests of the basin were designated as the Idaho Primitive Area. 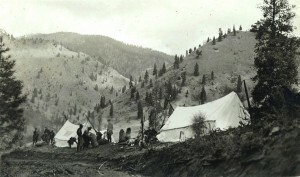 In 1980 with the support of many conservation groups, Idaho’s outfitters and guides and concerned citizens like Salmon Idaho’s Walt Blackadar, Congress designated the area the Frank Church – River of No Return Wilderness.The Stonebraker Ranch, now managed by Idaho Fish & Game, employs volunteer ranch hosts that manage the Chamberlain Guard Station, listed on the Historical Register of Places. In the spirit of Stonebraker, trail crews occasionally work to push the wild Idaho landscape away from the Three Blazes Trail and other surrounding arteries, keeping the basin navigable by horse and human. My arms strain against the weight of my boat as I pull back into the right river channel to avoid the shallows created by the Chamberlain Creek debris fan. For a moment I can imagine it’s not a rubber raft, but a wooden scow that I push out into the current. A layover at the Stonebraker ranch, complete with a cabin shelter and Golda Stonebraker’s home cooking, would’ve been a pleasant respite to a treacherous journey. Despite our best research, many stories of the Chamberlain Basin have been lost over time. Do you know which Hollywood guests Allen Stonebraker hosted on hunting trips? Is anyone familiar with the story of Allan Stonebraker’s brother, George, being murdered by his wife Thelma at the ranch? Have you recently hiked the Three Blazes Trail or flown into the Chamberlain Basin to volunteer or hunt? Share your stories and reflections of this beautiful Idaho gem in the comments below. ..what just might be the best commercial rafting company in North America. The trips are spectacular beyond description, the guides are the best of the best, the food is incomparable, and the customers are treated like royalty.